The songs of the 60's were really inspirational to me so I choose two songs that I love from that era. 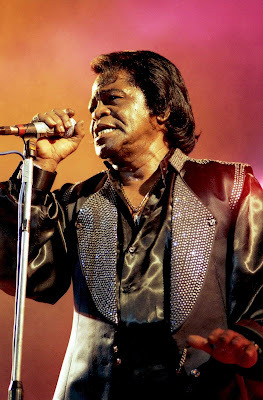 Curtis Mayfield's "We're A Winner" and James Brown's "Say It Loud, I'm Black and I'm Proud". Both excellent choices! These two totally slipped my mind. Speaking of "We're A Winner", I watched "Get On the Bus" yesterday morning.